I put this one together on my Christmas break. 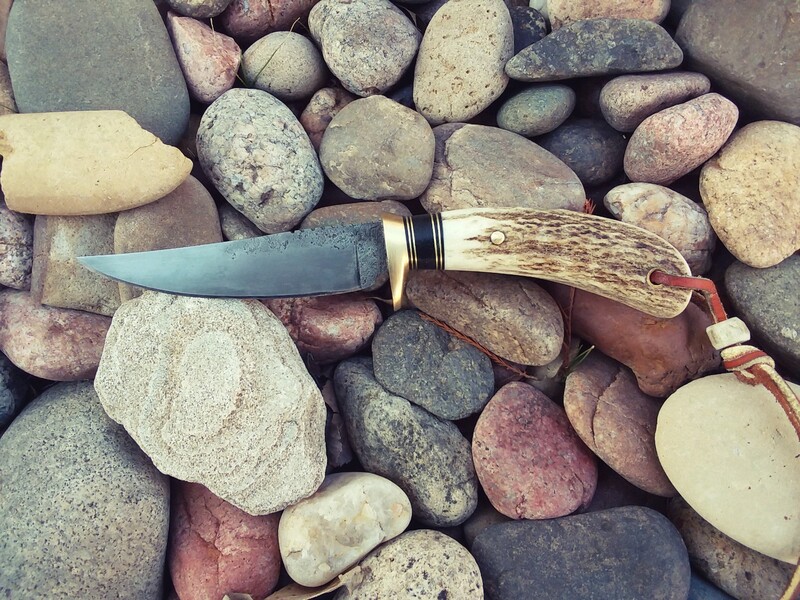 I've wanted to put a Scagel style knife together for ahwile now and I finally had a few free days to do it. 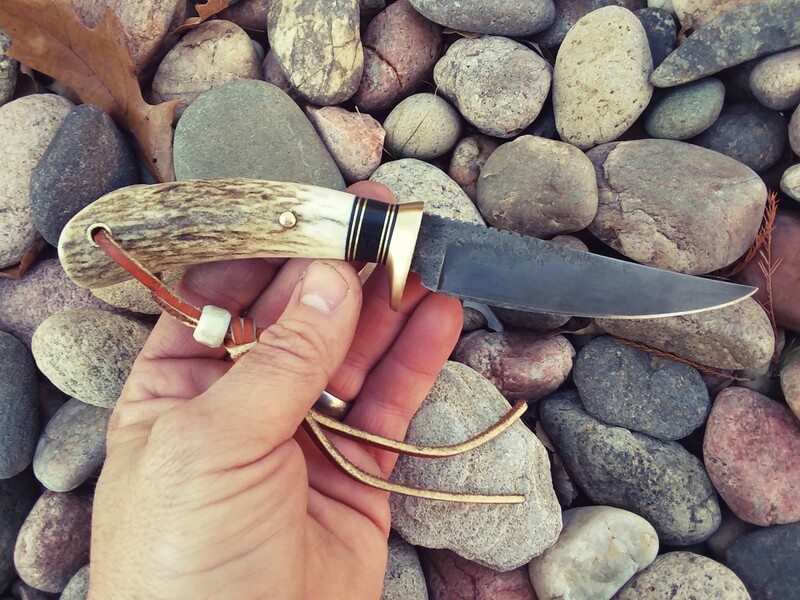 This one is out of 1095, the guard and spacers are brass and black micarta with the handle being elk antler. This knife is 7 1/2" overall and has a 3 3/4" blade. I plan to use this on our annual squirrel hunting trip in a couple months. That’s high quality work right there! Very nice. The shape looks like it would be a very comfortable knife to use. Good luck on your trip. Hope you skin a lot of squirrels. Feel sorry for that squirrel. 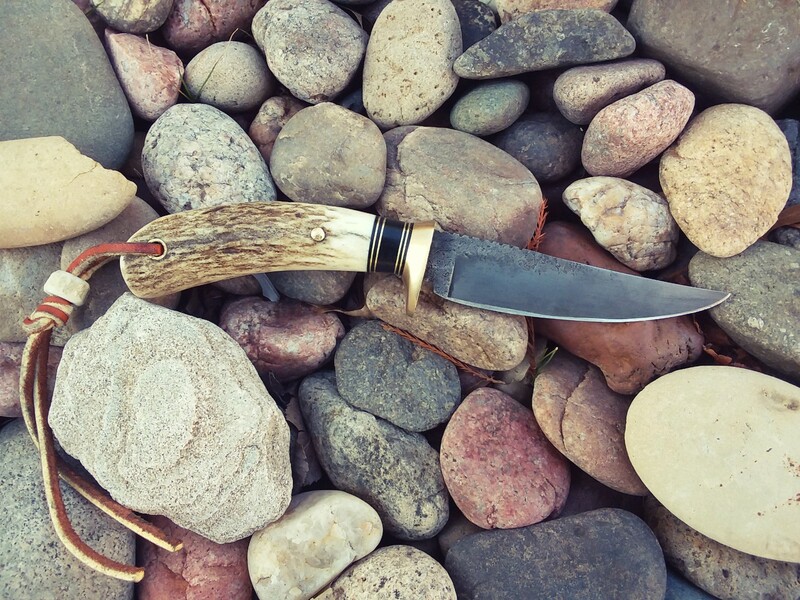 Great little knife.